New Orleans, racial tension, the vibrancy of the late 60s, arcade car chases and brutal beat-downs: this ain’t the Mafia you remember, kiddo. 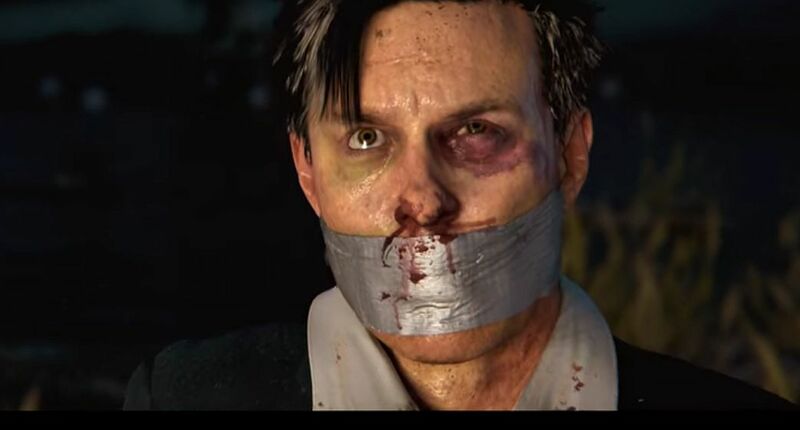 2K’s Mafia 3 reveal was undoubtedly the biggest of Gamescom, with the company putting out a well-made, interest-rousing CG trailer that seemed to get folks online plenty excited. While I’m no big fan of CG trailers for games, it has to be said that this one does a fine job of demonstrating what the greatest draw of Mafia 3 is so far; its interesting and unique choice of setting. Given the name of the series and its history, people no doubt had a strong idea of what the game might include: the post-war world of a city like New York, where young Italian Americans in particular turned to the mob for a way to build a life. What we got was different – but not that different. Mafia 3 is still the post-war tale of a man in search of meaning in his life. But it’s the wrong war. Rather than the second World War, protagonist Lincoln Clay has returned from Vietnam. As his name, quite different to previous Mafia anti-heroes Tommy and Vito, might suggest, Lincoln isn’t exactly the stereotypical member of the Italian Mob, either. In fact, he’s battling them on a quest to take revenge and build an empire of his own. As shown in the trailer, Lincoln had fallen in with New Orleans’ black mob on returning from Vietnam. But the politics of the criminal underworld led to their slaughter at the hands of the traditional Italian mob. He’s out for revenge, and recruits a small band of allies as lieutenants to assist him. The gang he draws together seems to hit all the typical archetypes. There’s an Irish gangster, an afroed woman who looks like she’s strutted straight out of a 70s blaxploitation movie, and Vito, Mafia 2’s protagonist, who returns with a small Italian gang of his own, which Lincoln can call on. Each of these offers unique perks, and certain actions within the game such as entrusting them with running a business you’ve taken over will ‘level up’ your relationship and unlock better bonuses. 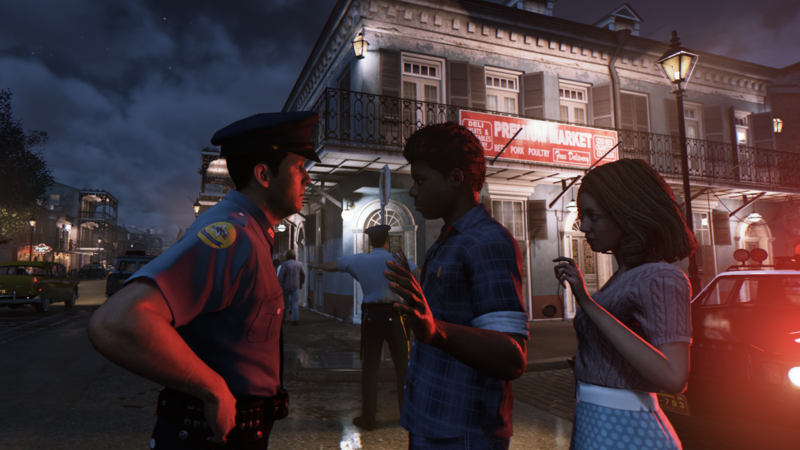 What’s immediately clear within moments of Mafia 3’s live demo starting up is just how tonally different this is to previous titles, even if beneath the surface the same familiar dynamics and archetypes are playing out. Gone are Tommy guns and fedoras, replaced by the vibrant colours of the late 60s and early 70s. While the streets are still in that period of history where they’re littered with small family businesses, neon-lit clubs and bars are already taking over certain areas of town with the incredible rock-led 60s music scene thriving. Casting the player as a black character adds an interesting wrinkle also, with Lincoln’s relationship with both the traditionally insular Italian mob and the world around him obviously informed by it. As Lincoln walks down a bustling street, a hippy busker strumming out a tune on the sidewalk, casual racism and the general racial tension of the era can be actively seen and heard. 1968 – the game’s setting – is the year of the assassination of Martin Luther King Jr. and as such is a hugely significant period for race relations in America. While I’m harping on the setting, it should be noted that the game itself looks pretty damn solid too. 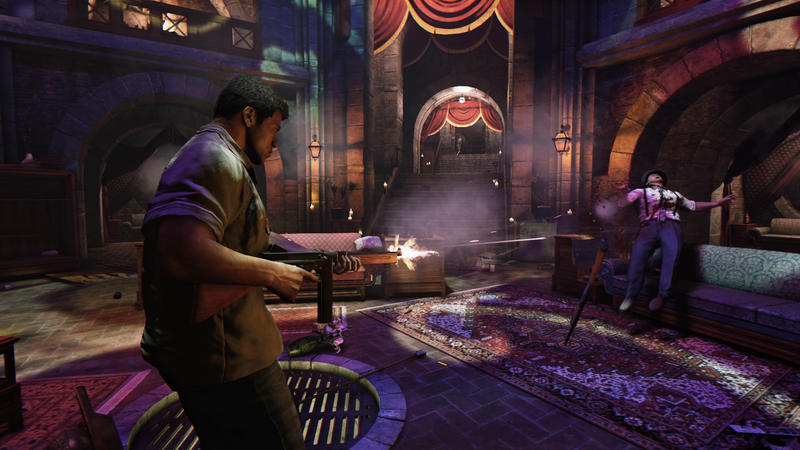 Mafia has always been a relatively subdued affair compared to its open world crime rivals, but with Mafia 3 Hangar 13 seems to be turning up the volume a little, likely in search of additional mainstream appeal. The new gameplay tweaks I see mostly line up with that. There’s brutal execution moves such as nasty throat-stabbing and pressing a shotgun into a dude’s guts at close quarters before pulling the trigger. Later, during a car chase, visibly looser and more arcade-like handling works alongside exaggerated physics, with cars flipping and exploding with reckless abandon. As all this happens, the game looks damn good, and the potential for fun chaos in its open world is obvious. But I immediately knew that many Mafia fans might not take to this change of direction towards the bombastic well. Just how crazy it can get was difficult to tell in the 30-minute demo, but I sincerely hope that the series retains its share of quieter moments. All of this is accompanied by decent looking cover-based third person shooting action. In the demo I also catch a little glimpse of Lincoln stealthing through an area he’s not supposed to be in and ‘interrogations’ where the player has to scare an NPC into giving up information, as well as a glimpse at empire-building mechanics. In the case of the latter, Lincoln is directed to take over a local business and later entrusts its running to Vito. Exactly how each business will impact his growing empire wasn’t shown. The way the game plays looks interesting in its own right, then. But the star of the demo is undoubtedly the atmosphere. From the not quite yet built-up architecture of ’68 New Orleans down to the character-filled swagger with which Lincoln walks, every aspect of this game’s setting and attitude oozes cool. That’s before even considering the soundtrack, which includes classics like The Rolling Stones’ Paint it Black, The Doors’ Light My Fire and, of course, Creedence Clearwater Revival’s Fortunate Son. Basically a requirement for any post-Vietnam story. The demo closes out with an action-packed car chase, with the developer demoing the game noting his shock at how one car almost careers into him after flipping over. That’s never happened before, he says – a reminder this is an open-world game. But as cool as the whiz-bang and explosions are, they don’t interest me so much. 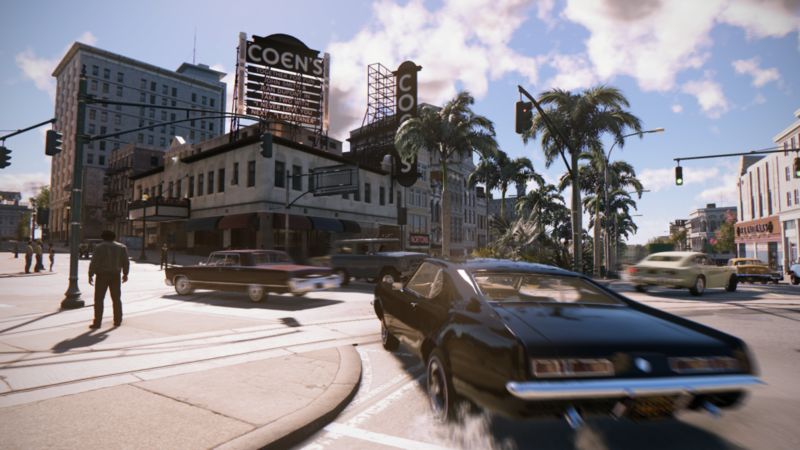 Coming out of the demo of Mafia 3, all I want to do is explore its setting. And I look forward to seeing more of it immensely.